You are here: Platinum Residential Latest News Advice We are happy to update you on the progress of Fibre To The Home in Vorna Valley. 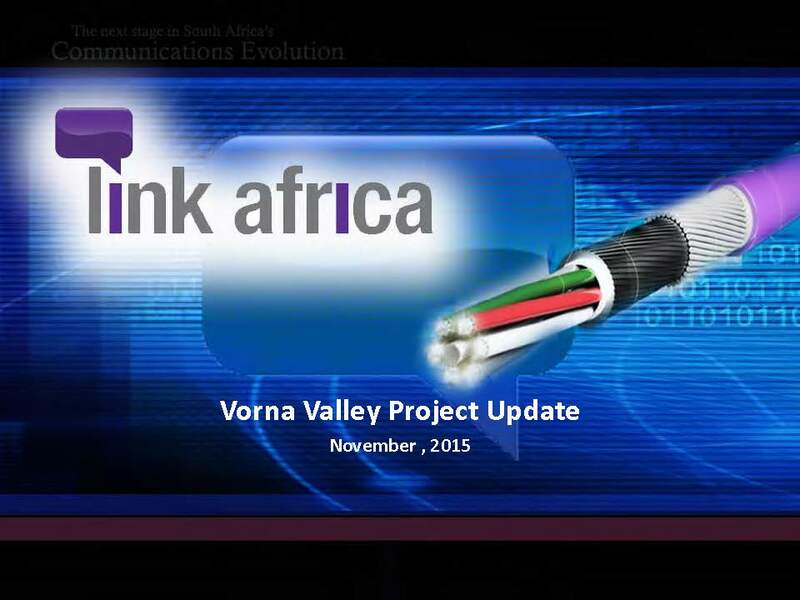 We are happy to update you on the progress of Fibre To The Home in Vorna Valley. The teams will have their ID books on their person at all times, Vehicles will be marked, and PPE /Clothing will be branded. They will also be required to put up banners where they are surveying. If you have any questions, please feel free to whatsap us on one of the discussion groups and we will try and answer as best we can. Please downlaod this pdf showing you what Fibre To The Home can be used for and zone map. Please note that there may be slight changes as the work progresses. Zone 1 will start shortly and should be up and running in 6 – 10 weeks. By the end of 35 weeks, zone 10 (+- 8 months) all residents in Vorna Valley will be able to connect to Fibre To The Home. A link to the website where residents can register and choose their service provider with pricing will be sent as soon as it is up and running. If you have neighbours or friend in Vorna Valley that would also like Fibre To The Home, please get them to email info@vvra.co.za with their details.